Elise relocated from Ohio to the city of Chicago 29 years ago. She has been a resident of the North Shore for the past 18 years where she has raised her three daughters. Elise has extensive knowledge of the schools, neighborhoods, and all the amazing things the North Shore has to offer. 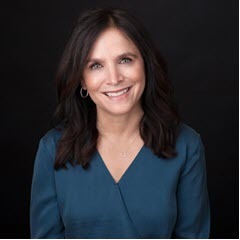 Elise is thrilled to be a part of the Wexler Gault Group which is among the top sellers of real estate in the city of Chicago and the North Shore. Year after year the Wexler Gault Group is consistently ranked among the top 1% of realtors in the Chicago area with combined sales of over $500 million. When you work with Elise you get get the benefit of having a whole team behind you to make sure your needs are met 100% of the time. Elise is a proud University of Michigan graduate who worked for almost 20 years as an Art Director/Creative Director at Ogilvy and Mather, one of the top advertising agencies in the world. Elise brings her extensive experience and knowledge to help you sell or market your home as well as an artistic vision if you want to purchase a home that needs to be updated or renovated.